USDA recently announced the availability of a streamlined version of USDA guaranteed loans, which are tailored for smaller scale farms and urban producers. The program, called EZ Guarantee Loans, uses a simplified application process to help beginning, small, underserved and family farmers and ranchers apply for loans of up to $100,000 from USDA-approved lenders to purchase farmland or finance agricultural operations. These EZ Guarantee Loans will help beginning and underserved farmers obtain the capital they need to get their operations off the ground, and they can also be helpful to those who have been farming for some time but need extra help to expand or modernize their operations. USDA's Farm Service Agency has offices in nearly every county in the country. USDA also unveiled a new category of lenders that will join traditional lenders, such as banks and credit unions, in offering USDA EZ Guarantee Loans. Microlenders, which include Community Development Financial Institutions and Rural Rehabilitation Corporations, will be able to offer their customers up to $50,000 of EZ Guaranteed Loans, helping to reach urban areas and underserved producers. Banks, credit unions and other traditional USDA-approved lenders, can offer customers up to $100,000 to help with agricultural operation costs. EZ Guarantee Loans offer low interest rates and terms up to seven years for financing operating expenses and 40 years for financing the purchase of farm real estate. USDA-approved lenders can issue these loans with the Farm Service Agency (FSA) guaranteeing the loan up to 95 percent. FSA also offers loans of up to $5,000 to young farmers and ranchers though the Youth Loan Program. Loans are made to eligible youth to finance agricultural projects, with almost 9,000 young people now participating. More information about the available types of FSA farm loans can be found at www.fsa.usda.gov/farmloans or by contacting your local FSA office. To find your nearest office location, visit http://offices.usda.gov. 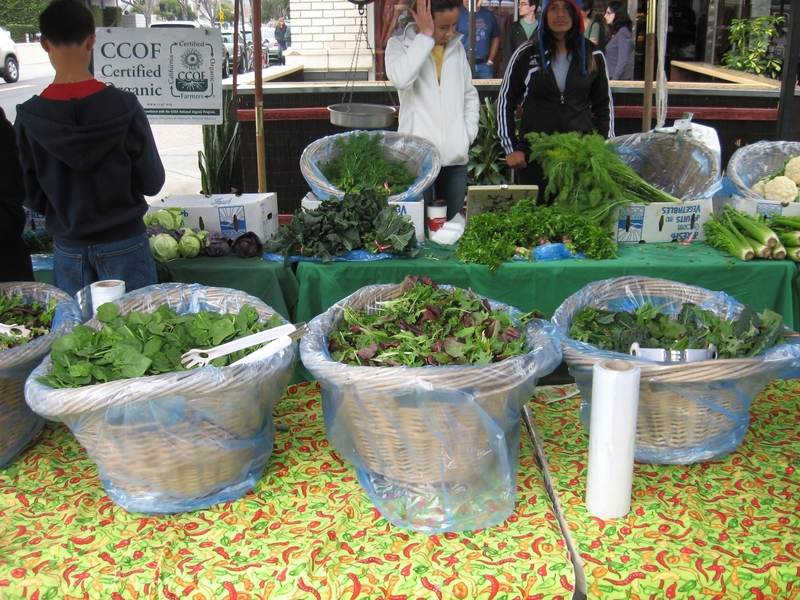 Consumers often say that they buy locally produced foods because they want to support their local economy. Our newly released report confirms that buying locally produced foods does support the local economy. 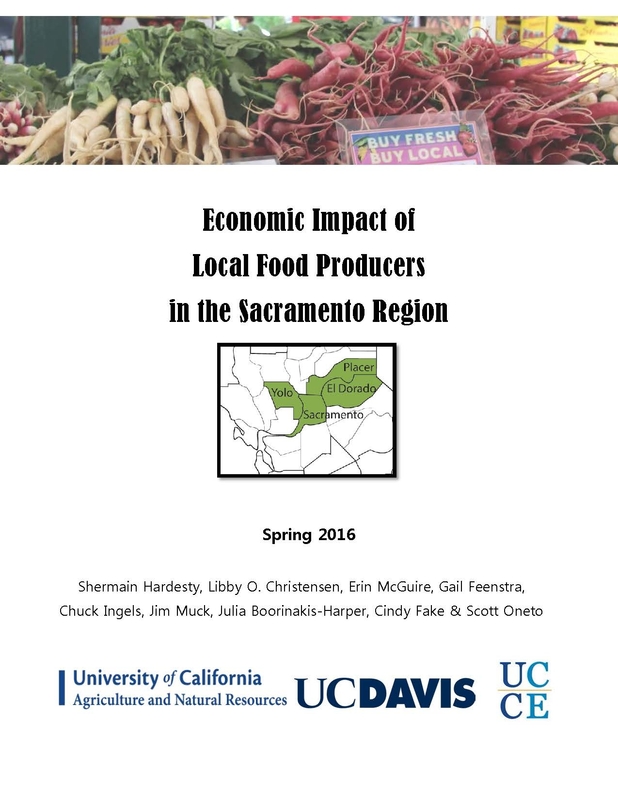 Our University of California Cooperative Extension team measured the economic impact of local food marketing in the Sacramento Region (El Dorado, Placer, Sacramento and Yolo counties). Our key finding was that, for every dollar of sales, Sacramento Region producers engaged in direct marketing (direct marketers) are generating twice as much economic activity within the region as producers who are not involved in direct marketing (non-direct marketers). This strong economic development impact is due primarily to the fact that direct marketers source a much larger percentage of their inputs within the region (89 percent) than do non-direct marketers (45 percent). We used an input-output modeling program, IMPLAN, to measure the direct marketers' economic impacts. Our project team interviewed over 100 direct marketers in the Sacramento Region to develop a customized IMPLAN database. We asked producers what, where, and how much they spent for inputs in various categories, as well as what, where and how much product they sold. The direct marketers were much more labor intensive; hired labor comprised 45 percent of their total expenses, compared to 25 percent of total expenses for the non-direct marketers. Additionally, most direct marketers also sold through other channels; on average, 44 percent of their revenues were generated through direct marketing, 55 percent through wholesale channels, and one percent in commodity markets. created by Farmer Brown's production of $10 of vegetables. Indirect effects occur when Farmer Brown purchases inputs from other industries within the region to produce $10 of vegetables. 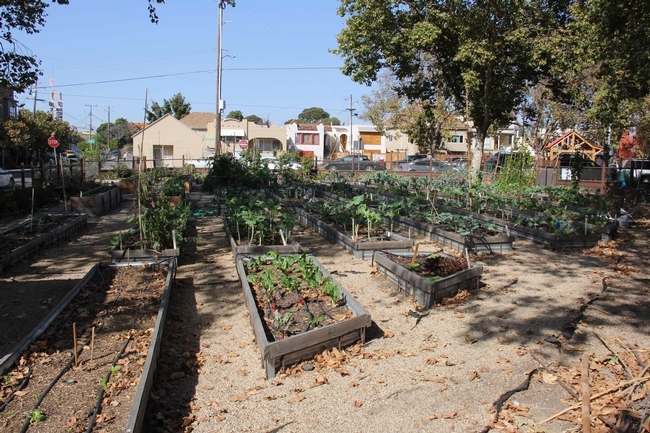 For example, from the expense data we collected, we know that, a farmer (such as Farmer Brown) spent an average of $0.42 on irrigation materials and utilities within the Sacramento Region to produce $10 of vegetables. These purchases at her local hardware store requires that the store purchase more irrigation materials from its supplier. This additional demand is called the indirect effect. Only the hardware store's purchases of irrigation products within the Sacramento Region are counted when measuring the indirect effect. The direct marketers' indirect effect is .41, compared to .09 for the indirect marketers. 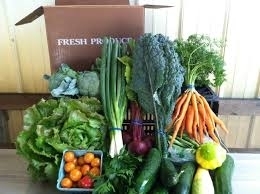 Therefore, we know that while producing the $10 of vegetables, the indirect effect from Farmer Brown's production of vegetables generated $4.10 of economic activity in the Sacramento Region by purchasing various inputs and services within the region. The second ripple effect is called the induced effect. In this example, Farmer Brown spent money to hire labor and purchase inputs. Her spending generates income for her farm, her employees, her suppliers, and the employees of her suppliers—including the sales person at the hardware store. The induced effect occurs when these households spend some of their income on products and services within the region, such as food, clothing, health care, eating out, and recreational activities. The induced effect was .45 for the direct marketers and .33 for the indirect marketers. The induced effect from Farmer Brown's production of $10 of vegetables generated $4.50 of household spending in the Sacramento Region. The direct, indirect and induced effects are added together to calculate the total output multiplier—measuring the total economic impact of one dollar of output. The total output multiplier is 1.86 for the direct marketers, and 1.42 for the non-direct marketers. There are also large differences in the job effect of the two producer groups. The direct marketers generate 31.8 jobs in the Sacramento Region for every $1 million of output they produce. These jobs include on-farm labor, as well as jobs related to the farms' indirect effects, which involve the farms' suppliers, and jobs created by the direct marketers' induced effects involving household spending. In comparison, the Sacramento Region non-direct marketers generate 10.5 jobs for every $1 million of output. The difference is attributable mainly to two factors: (1) the direct marketers' high rate of local input sourcing; and (2) the direct marketers' labor intensiveness--hired labor expenses comprised 45 percent of their operating expenses, compared to only 25 percent for the other producers. These relatively large effects of direct marketing need to be considered within a broader context. Direct market producers in the Sacramento Region account for only 19 percent of the region's farms and four percent of its total agricultural production (based on data from the USDA's 2012 Census of Agriculture and this study). Therefore, direct marketers' overall impact on the region's economy is relatively small. However, since they generate double the impact on the Sacramento Region's economy for each dollar of production compared to the non-direct marketers, direct marketers warrant support from the region's policy makers and government programs. Readers need to be aware that these results apply only to the Sacramento Region. Gathering the data to develop a custom IMPLAN database for direct marketers is very time-consuming. Report authors are the following current (and former) UC Cooperative Extension academics and staff: Shermain Hardesty, Libby O. Christensen, Erin McGuire, Gail Feenstra, Chuck Ingels, Jim Muck, Julia Boorinakis-Harper, Cindy Fake and Scott Oneto. 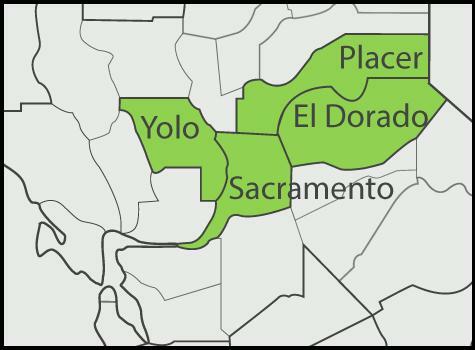 The full regional report, as well as similar reports for El Dorado, Placer and Yolo counties, may be downloaded at: http://ucanr.edu/econ_impact. Inquiries may be sent to the project leader, Shermain Hardesty, shermain@primal.ucdavis.edu. This article by Matt Kettman was published in the Santa Barbara Independent on October 6, 2015. UC Small Farm Advisor, Mark Gaskell, has been providing technical assistance to small-scale growers in Santa Barbara and San Luis Obispo counties for more than 20 years. Sandra Newman has established certified organic blueberries, gooseberries, mulberries, and other specialty crops on her 100 acres of sandy soil and been growing and marketing them successfully for more than a dozen years. FRINGE FARMER: Pushing the boundaries of what can grow just 12 miles from the ocean, Sandra Newman is growing wine grapes, blueberries, gooseberries, mulberries, hardy kiwis, and more. Soon after Sandra Newman purchased 100 acres of sandy hills just east of Lompoc in 2002, she visited a small farms expert in Santa Maria to inquire about planting wine grapes. The property touched the western border of the renowned Sta. Rita Hills wine-growing appellation, many of her neighbors had grapes, and, as a dedicated horticulturalist who studied plant science decades ago at the University of Delaware, Newman figured finicky pinot noir would be a worthy challenge to grow just 12 miles from the ocean. So the advisor suggested planting blueberries, which, if they ripened anytime other than when the blueberry market is typically flooded, would deliver nearly instant returns. In went two acres of the shrubs — they ripened exactly at the right times — and Forbidden Fruit Orchards was born. Newman was soon selling her organically grown blueberries to upscale grocers and through farmers' markets from San Francisco to Los Angeles, using the proceeds to grow her property from a few abandoned apple trees into a dynamic estate with multiple buildings. And she kept planting, from more blueberries (now 8.5 acres) to Pakistani mulberries, avocados, apples, red and pink currants, figs, bananas, gooseberries, and more. Among the more interesting choices are the hardy kiwis (smaller than usual and hairless so that you eat the whole thing, but she's still getting them to flower at the right time), green tea (an experimental project in conjunction with the University of California), and hops for beer, which are tended to by Brian DeBolt and Casey Birthisel of Pacific Valley Hops. Many of these items will be integrated into the menu of the upcoming farm-to-table, four-course dinner at the property on November 7, when Chef Sally Ruhl will unveil many of the ingredients she's posting to Twitter under her handle @SallyRuhl. With the blueberry cash flow, Newman finally did plant wine grapes in 2007, today amounting to 7.5 combined acres of pinot noir and chardonnay. Some grapes are sold to other vintners, but she makes about 600 or so cases in her souped-up garage under the brand Cebada, named after the canyon. The wines are very light and elegant in a deliberately Old World style; the chard is tight and racy, the pinot requires a bit of bottle age to truly shine (so 2011 is great now), and the 2014 rosé is one of the best pinks I've tried of the vintage. Plenty of others think so, too, as it's rare for me to hear so many wine lovers I know rave about the same brand without any prompting. You can taste them with an appointment at the farm, or just head to Isabella Gourmet Foods on Figueroa Street in downtown Santa Barbara, where Cebada wines are poured upstairs and Newman's jams, teas, and other products are also sold. To get the most bang out of your $10, try them during Thursday and Friday's Classy Hour, when sips come with small food pairings from 4-6 p.m.
Declining profits from most agricultural crops grown combined with increasing restrictions on water use have forced many Southern California farmers to look for more water efficient and profitable crop alternatives to diversify their farming operations. Pitahaya or Dragon Fruit (Hylocereus spp.) meets these requirements and has emerged as a viable crop alternative with great profit potential for small-scale agricultural producers in the region. Pitahaya is a vining cactus that adapts very well to arid southern California micro-climates and can survive with minimal amounts of water. 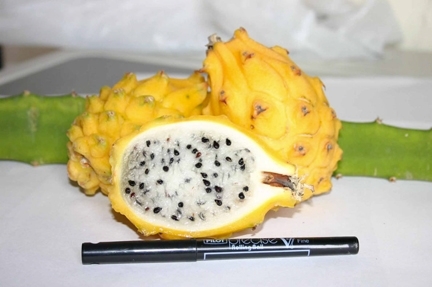 Its fruit is highly prized by Southeast Asian consumers not only as a fresh fruit but also for its cultural importance. However, market trends and increasing demand for new, exotic and more nutritious fruits have increased the appeal of this fruit among mainstream American consumers and the demand currently exceeds the domestic supply. 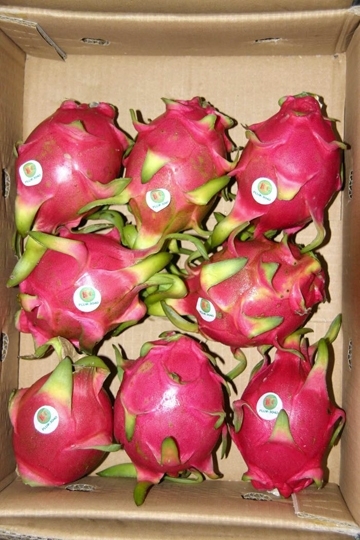 Most pitahaya consumed in the US has been traditionally imported from Southeast Asia with limited domestic production from Florida and California. However, most of this fruit has been from white-fleshed cultivars of Asian origin, which rarely met consumers' flavor expectations based on the fruit's exotic appearance. Recognizing that more research-based information and tastier, more colorful varieties were needed to increase consumer demand and to help growers capitalize on this opportunity, UCCE Small Farm Advisor Ramiro Lobo initiated a pitahaya research and extension program with seed money from the former UC Small Farm Program. Subsequent grants from UC-ANR and from the UC Hansen Trust have allowed Farm Advisor Lobo to expand the geographic scope of this program into Riverside and Ventura Counties in collaboration with Jose Fernandez de Soto, Jose Aguiar, other Advisors and Specialists from UC Davis and UC Riverside and private growers and suppliers. 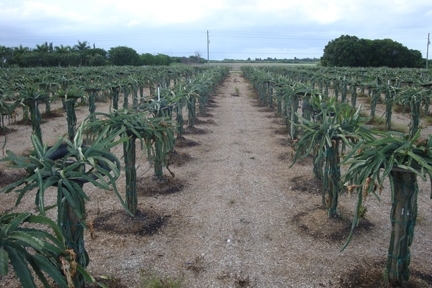 Research efforts to date have focused on the evaluation of pitahaya cultivars for adaptation to local micro-climates, the genetic characterization of a pitahaya germplasm collection, pest and disease management, irrigation and fertility management and post harvest management information. 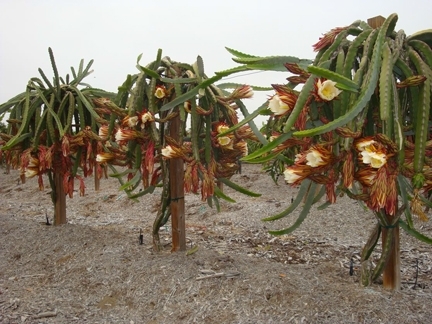 This research has demonstrated that pitahaya or dragon fruit adapts very well to field grown conditions in Southern California and that this drought-tolerant plant can be a profitable crop alternative for small-scale producers in Southern Coastal California. A shorter program in Indio, Riverside County will be presented on Wednesday, September 30 beginning at 10:30AM. To register for this event, contact Wendy Smith at 760 342 6437 or wensmith@ucanr.edu. I erroneously referred to requirements in some recently passed legislation related to direct marketing as "regulations". So I am posting an edited version of the blog. It also includes some additional information. 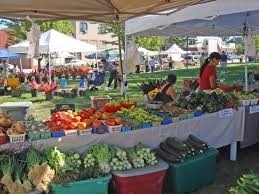 California's Legislature recently passed several bills related to direct marketing and food safety. The California Department of Food and Agriculture (CDFA) has recently implemented some new requirements related to these bills. While these requirements could increase growers' costs, they also have the potential to foster more favorable market conditions for smaller farms engaged in direct marketing. Please note that this is NOT a complete listing of the requirements associated with AB 224, AB 1871 and AB 1990. I have added bold and italicized fonts to emphasize specific phrases. If you have any questions or concerns about these new regulations, please email me, Shermain Hardesty, Leader of the UC Small Farm Program, shermain@primal.ucdavis.edu. Required farmers selling at certified farmers markets to post a conspicuous sign or banner at their stand that identifies the farm/ranch by name, the county where the farm/ranch produces the products being offered for sale is located, and a statement that “We Grow What We Sell” or “We Raised What We Are Selling” or similar phrases that clearly represent that the farm or ranch is only selling agricultural products that they themselves have grown or raised on California land that they possess or control. Product sales by different farms at the same vendor stand shall separate the products from each farm or ranch and correspondingly post the required sign or banner in direct relationship with the sales display of the products produced by each farm. (2) Agricultural products shall be labeled with the name and address of the community food producer. (3) Conspicuous signage shall be provided in lieu of a product label if the agricultural product is being sold by the community food producer on the site of production. The signage shall include, but not be limited to, the name and address of the community food producer. (5) Egg production shall be limited to 15 dozen eggs per month. Please note that this is NOT a complete listing of the requirements associated with AB 224, AB 1871 or AB 1990.